I have at least 1 shot of every car that started. THey should all be up by the middle of next week, I am on the road for a few more days and wont have time to go through them all until I get back to AZ. Anahiem, California- The #23 Schampa Trophy Kart driven by Phil Wenzel took the checkered flag at the Monster Jam event on Saturday January 26th. Wenzel’s day started with a 2 ½ hour long pit party and autograph signing with the monster truck drivers and other Trophy Kart kids. Wenzel said “I never got a break from the fans. I had kids and even some parents getting in my trophy kart, but I was careful so they wouldn’t scratch that big Schampa sticker on my hood.” Wenzel says he thought it was pretty cool when parents asked him to be in their pictures. Phil Wenzel took the last draw for starting positions and ended up getting number 1. 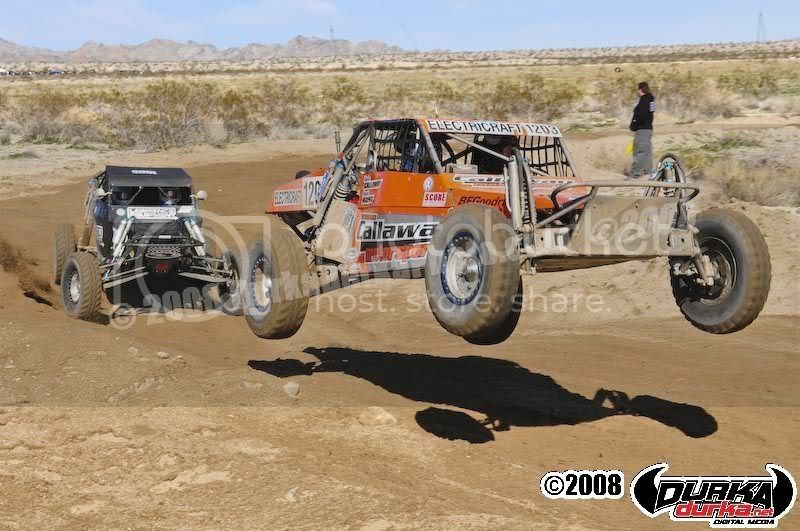 Wenzel did a pace lap and lined up on top of a huge table top jump measuring 51 feet high and 14 feet wide. When the checkered flag dropped, Wenzel’s engine bogged down and he lost 5 spots before turn 1. Jake White’s #41 Monster Energy Trophy Kart grabbed the whole shot and took the lead.. On Lap 2 Wenzel’s #23 Schampa Trophy Kart was on White’s tail. White went wide and Wenzel took the inside line passing the #41 taking the Trophy Kart win! This was Phil Wenzel’s first race working with his new crew chief and spotter, Sgt. Steve Baty. “He did pretty good for his first time as my spotter” said Wenzel. The next stop for the #23 Schampa Technical Wear Trophy Kart will be in two weeks in Pomona at the NHRA Winternationals. Look for Phil Wenzel signing autographs and taking pictures at the Mechanixwear booth. Schampa is a proud producer of high end headwear, thermal underwear, and jackets. Schampa Racing produces a variety of high end Dye-Sublimated, Screen Printed, and Embroidered apparel geared specifically for the motorsports, cycling, and adventure/extreme lifestyles. If you need Pit Crew Shirts, T-Shirts, Hats, Stickers or any other products for your team, company, or organization please contact Schampa at 480-899-6458. 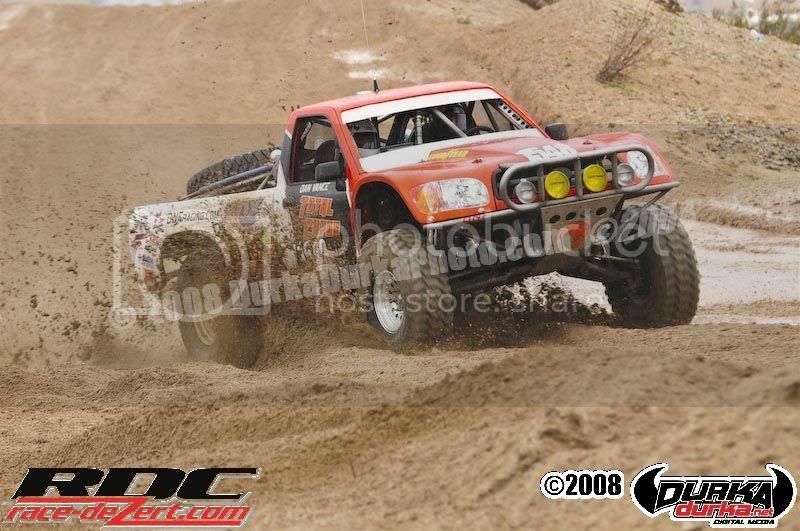 Schampa, Schampa Racing, Schampa Haus, Never Stop Riding, Dirt Skins, Stickers & T-Shirts.com are all copyrights of Company of the Americas, Inc.
Water Resort, on the banks of the historic Colorado River. 300, the ‘Henderson 400’ and won the Class 7100 points championship by a comfortable margin. but, when everything is dialed in and working well, you have to force yourself to be disciplined. finish and you don’t want to be a part of that statistic”. Aaron will drive the first and third laps with co-rider, Ed Ramirez in the navigator’s seat. Parker and the successful defense of their Class 7100 points title in 2008. 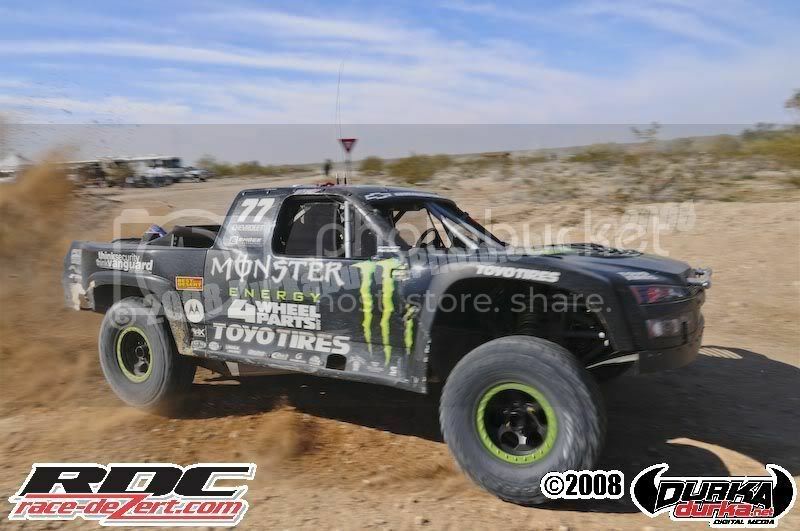 Laughlin, Nevada- It was a very tough weekend for “Pistol” Pete Sohren in the #2 Schampa Trophy Truck. 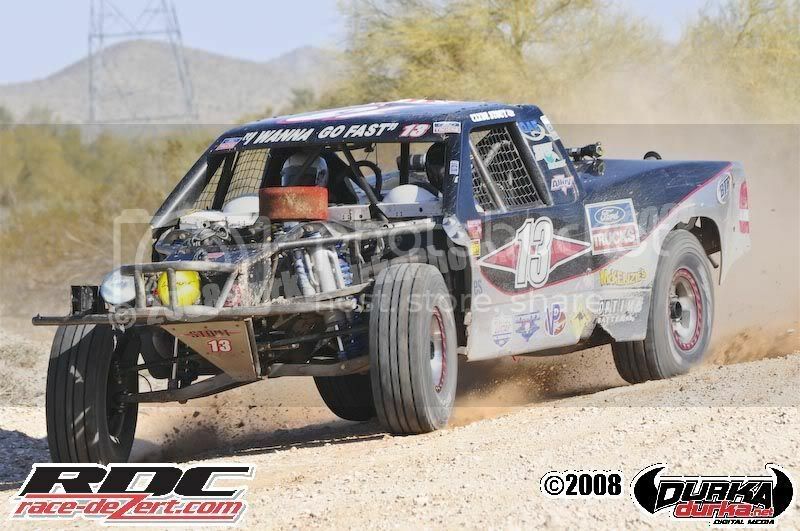 His team arrived at the 14th annual SCORE Laughlin Desert Challenge race making last minute adjustments on the truck. Pistol qualified the truck in 6th place, however early in the first race on Saturday, he lost a belt in the first lap, once repaired Pistol tore through the track passing vehicles at will, but then mechanical problems struck again when the motor blew and a rod shot through the oil pan ending his weekend. “We were trying to go fast, and when you go fast, stuff happens” said “Pistol” Pete Sohren who was still hanging around the pits watching the races from the sidelines and broadcasting commentary for an internet radio show on Sunday. 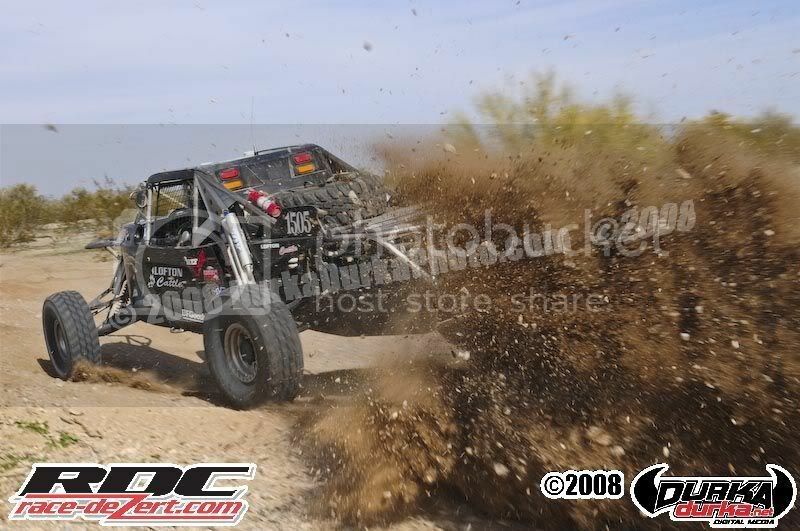 Pistol plans to pull the blown motor, get a spare one in and go testing all before this weekend’s BITD Parker 425 in Parker, Arizona . His strategy to winning in Parker is a good qualifying time, starting up front with the fast guys and get out in front of the dust. He says with the recent rains it should be a dust-free race. “You keep your place in line and work on the victory from there” states Pistol. 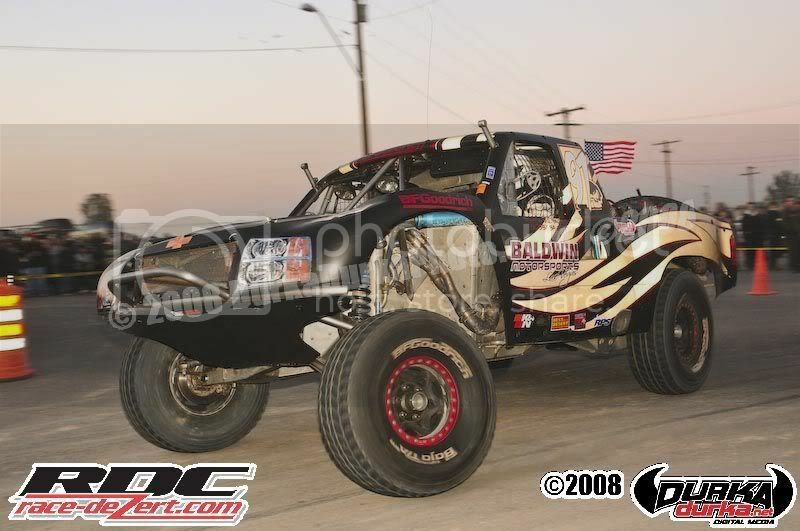 After the BITD Parker 425 the #2 Schampa Trophy Truck and Pistol Pete Sohren head to San Felipe B.C. 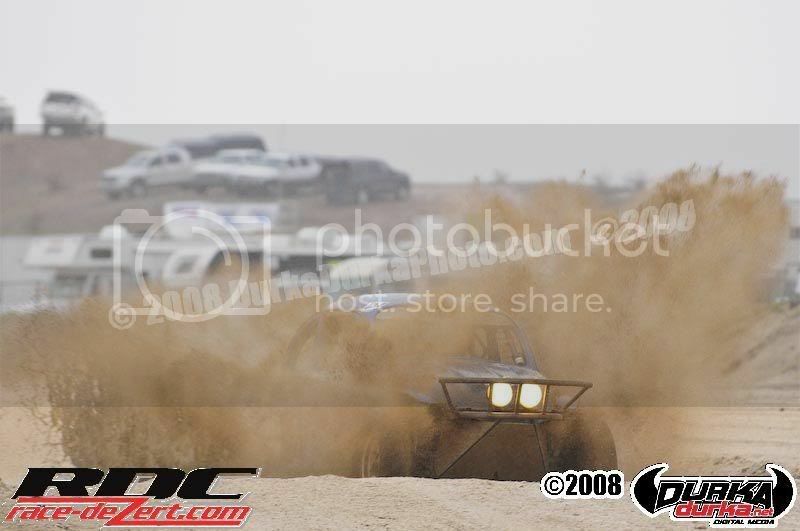 Mexico for the SCORE San Felipe 250 race. 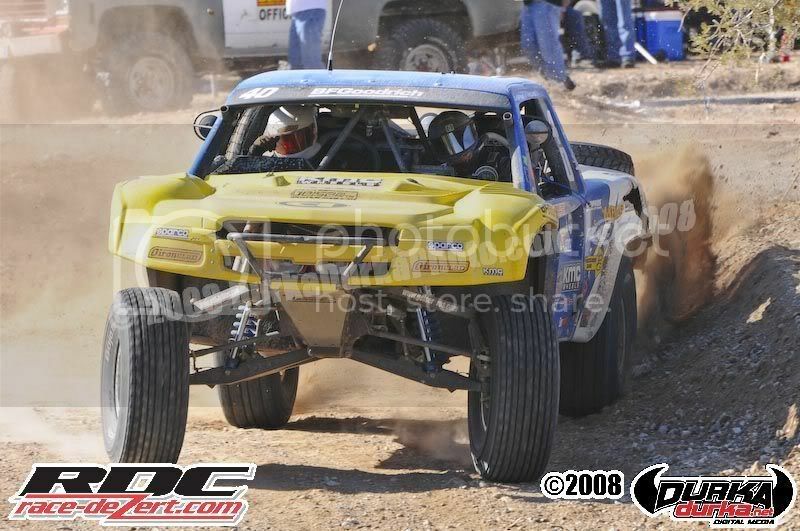 Sohren has had much success in previous years in San Felipe where in 1994, Sohren took first place in a 7S truck. 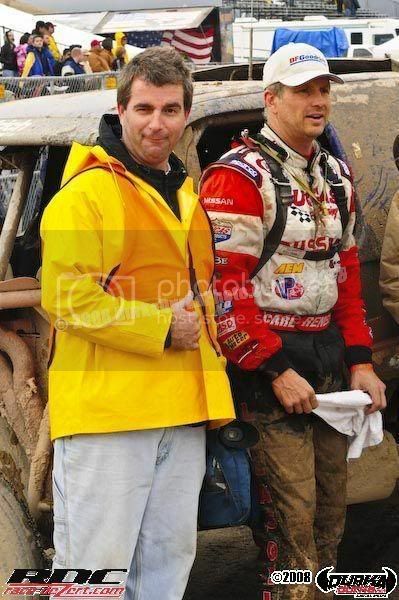 In 1997 and 2001 he took first in Class 5, and in 2004 on his debut race in the Trophy Truck division, Pistol Pete Sohren took the podium in 3rd place. This is one of the teams, as well as Pete’s, favorite races and Pistol says he’s shooting for a win. Schampa Racing produces a variety of high end Dye-Sublimated, Screen Printed, and Embroidered apparel geared specifically for the motorsports, cycling, and adventure/extreme lifestyles. If you need Pit Crew Shirts, T-Shirts, Hats, Stickers or any other products for your team, company, or organization please contact Schampa at 480-899-6458. Schampa, Schampa Racing, Schampa Haus, Never Stop Riding, Dirt Skins, Stickers&T-Shirts.com are all copyrights of Company of the Americas, Inc.
MEXICO CITY – Reputed drug lord Alfredo Beltran Leyva was ordered to stand trial on weapons-possession and money-laundering charges, authorities said Tuesday, while forensic experts identified a man killed in a November helicopter crash as a top cartel hit man. Beltran Leyva and three alleged accomplices were arrested Jan. 21 in the northern state of Sinaloa. He is accused of being a top financier for the Pacific drug cartel, the Attorney General's Office said in a statement. The suspects, who were allegedly carrying firearms and almost $1 million in cash when arrested, also face organized crime charges. 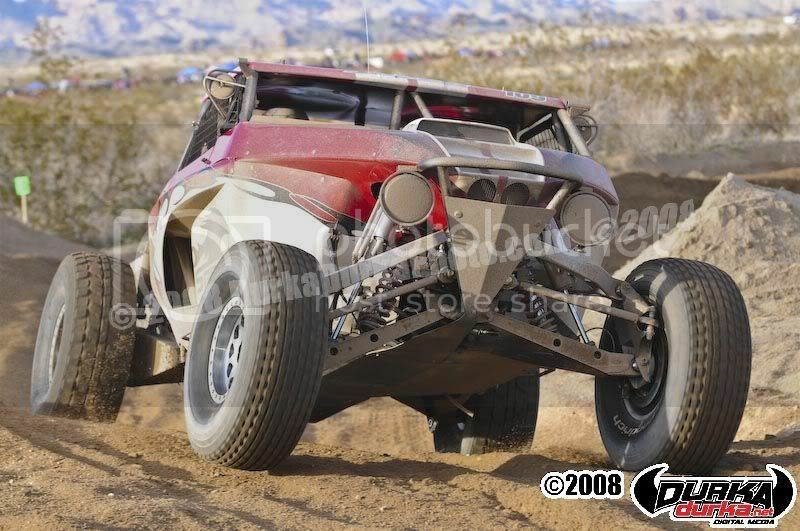 In a separate statement, the office announced that the remains of a man killed on Nov. 13 when a helicopter crashed near the start of the Baja 1000 off-road race in Baja California, near the city of Ensenada, had been identified as belonging to a feared drug enforcer. Merardo Leon Hinojosa was “one of the most dangerous hit men of the Arellano Felix” cartel, which is based in the border city of Tijuana, the office said. Two of the four people aboard the helicopter were killed in the crash; witnesses said the craft appeared to be filming the race and may have become entangled in power lines. SCORE TROPHY-TRUCK (Unlimited Production Trucks, 16 laps, 100 miles) - 1. Rich Ronco, Peoria, Ariz., Chevy Silverado, 2 hours,12 minutes, 57 seconds (45.130 miles per hour); 2. B.J. Baldwin, Las Vegas, Chevy Silverado, 2:13:38; 3. Damen Jefferies, Apple Valley, Calif., Chevy Silverado, 2:15:44; 4. Bobby Baldwin, Las Vegas, Chevy Silverado, 2:19:02; 5. Robbie Pierce, Santee, Calif./Brent Gustin, Seal Beach, Calif., Chevy Silverado, 2:22:25 (24 starters, 5 finishers). CLASS 1 (Unlimited single or two-seaters, 16 laps, 100 miles) - 1. Pat Dean, Las Vegas, Bunderson-Chevy, 2:08:29 (46.699 miles per hour); 2, B.J. Richardson/John Gaughan, Las Vegas, Bunderson-Chevy, 2:13:32; 3. Steve Barry, Jamul, Calif., Jimco-Chevy.Class 1, 2:16:31; 4. Chuck Dempsey, Oak Hills, Calif./Mark Levrett, Sparks, Nev., HMS-Chevy.Class 1, 2:18:24; 5. Dale Lenk/Brett Lenk, Costa Mesa, Calif., Penhall-Chevy.Class 1, 2:23:47; 6. James Scott, Hemet, Calif., RPS-Chevy.Class 1, 2:26:30 (27 starters, 6 finishers). 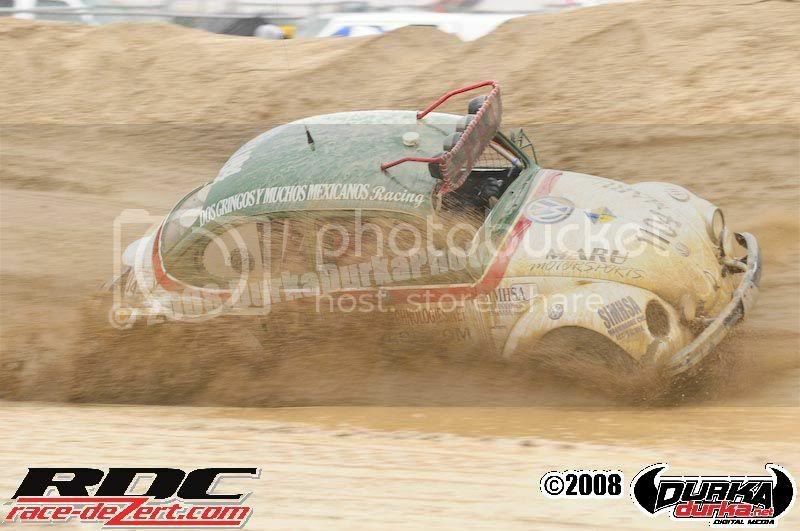 CLASS 1-2/1600 (VW-powered, single or two-seaters to 1600cc, 12 laps, 75 miles) - 1. Cory Boyer/Rick Boyer, Bakersfield, Calif., Lothringer, 2:00:54 (37.221 mph); 2. Hiram Duran, Chula Vista, Calif., Amplified, 2:01:43; 3.Adam Pfankuch, Carlsbad, Calif., Mirage, 2:03.14; 4. Dave Caspino, Woodland Hills, Calif., Lothringer, 2:03:29; 5. Cody Robinson, El Centro, Calif./Roberto Romo, Mexicali, Mexico, Curry, 2:05:15; 6. Edgar Avalos, Horizon, Texas/Armando Avila, Cd. Juarez, Mexico, Kreger, 2:07:21; 7. Mike Simpson/Gary Messer, Kingman, Ariz., Bunderson, 2:07:43 (16 starters, 7 finishers). CLASS 3 (Short Wheelbase 4X4, 10 laps, 625 miles) - 1. Donald Moss, Sacramento, Calif./Ken Moss, Marysville Calif., Ford Bronco, :2:12:06 (28.388 miles per hour) (1 starters, 1 finisher). 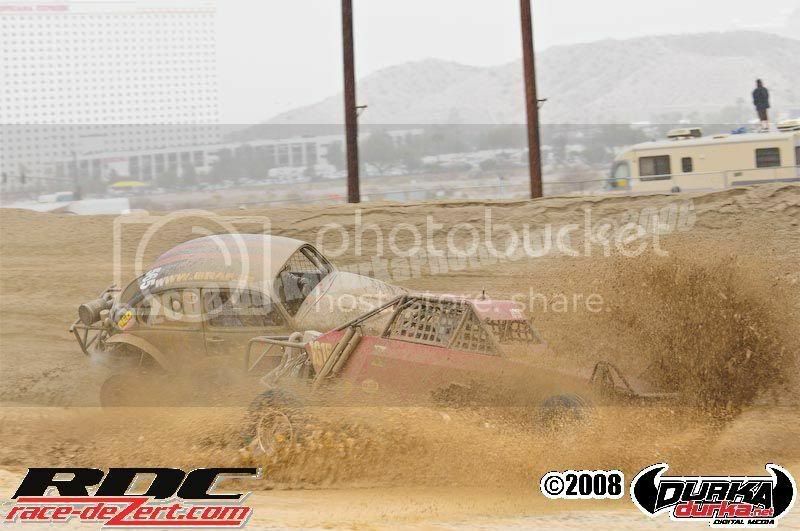 CLASS 5 (Unlimited VW Baja Bugs, 14 laps, 87.5 miles) – 1. Kevin Carr, San Diego, 2:23:30 (36.585 miles per hour) (3 starters, 1 finisher). 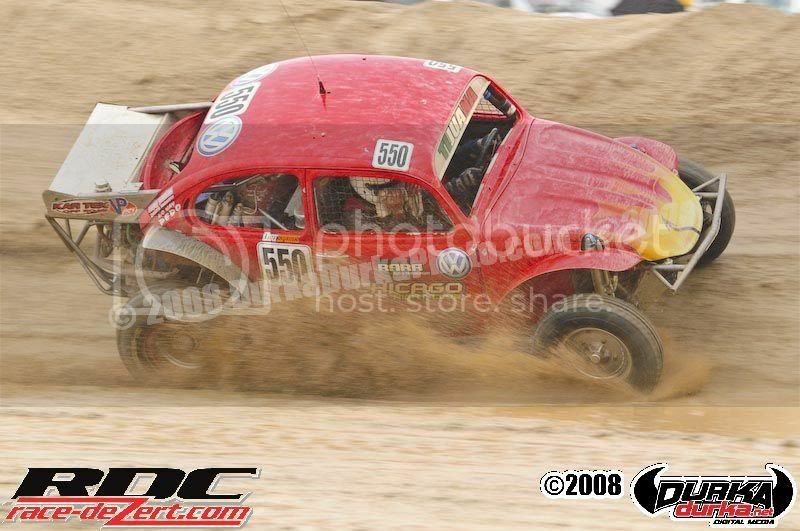 CLASS 5/1600 (1600cc VW Baja Bugs, 12 laps, 75 miles) - 1. Enrique Zazueta Jr. /Enrique Zazueta Sr., La Paz, Mexico, 2:13:48.33.632 mph); 2. Marcos Nunez/Norberto Rivera, Ensenada, Mexico, 2:15:21 (13 starters, 2 finishers). CLASS 7 (Open mini trucks, 12 laps, 75 miles) - (4 starters, 0 finishers). CLASS 7SX (Modified, open mini trucks, 12 laps, 75 miles) - 1. 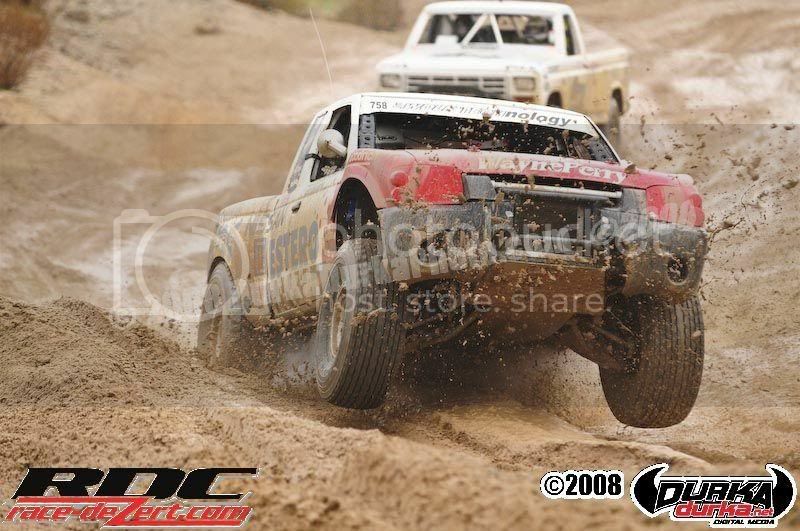 Heidi Steele, San Clemente, Calif./Tim Lawrence, Santee, Calif., Ford Ranger, 2:20:17 (32.078 mph) (4 starters, 1 finisher)..
CLASS 8 (Full-sized two-wheel drive trucks, 12 laps, 75 miles) - (3 starters, 0 finishers). CLASS 10 (Single or two-seaters to 1650cc, 14 laps, 87.5 miles) – 1. Chris Harrold, Chula Vista, Calif., AlumiCraft-Honda, 2:11:05 (40.051 miles per hour) (10 starters, 1 finisher). CLASS 11 (Stock VW Sedans, 6 laps, 37.5 miles) - 1. Ramon Fernandez/Jesus Aras, Ensenada, Mexico, 1:27:36 (25.685 mph); 2. Todd Lucero, Anaheim Hills, Calif./Richard Nichols Jr., Placentia, Calif., 1:36:08; 3. Jake Mueller/Todd O’Dwyer, San Diego, 1:40:46 (4 starters, 3 finishers). STOCK FULL (Stock, Full-sized trucks, 10 laps, 62.5 miles) - 1. 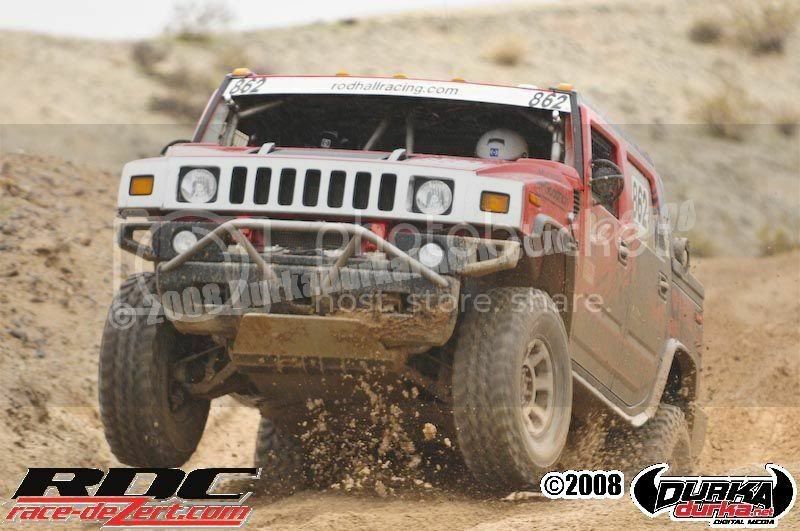 Chad Hall, Reno, Nev., Hummer H3Alpha, 1:59:11 (31.464 miles per hour); 2. John Griffin, Mission Viejo, Calif./Jeremy Spirkoff, El Cajon, Calif., Ford F-350, 2:03:18 (4 starters, 2 finishers). STOCK MINI (Stock, Mini-sized trucks, 10 laps, 62.5 miles) - 1. 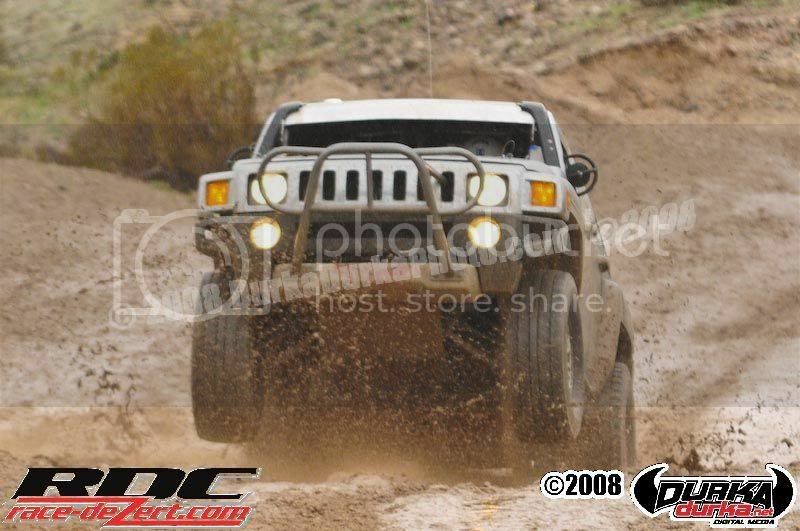 Rod Hall, Reno, Nev., Hummer H3, 2:11:46 (28.459 miles per hour); 2, Steve Kovach, Tempe, Ariz./Chip Carr, Gilbert, Ariz., Ford Ranger, 2:28:29 (2 starters, 2 finishers). PROTRUCK (Limited Production Trucks, 12 laps, 75 miles) - 1. Jason Voss, Cupertino, Calif., Ford F-150, 1:57:05 (38.434 miles per hour) (1 starter, 1 finisher). SPORTSMAN CAR (12 laps, 75 miles) - 1. Rory Ward/Tracy Ward, Mohave Valley, Ariz., Chenowth-Chevy, 2:07:43 (35.234 mph) (5 starters, 1 finisher). 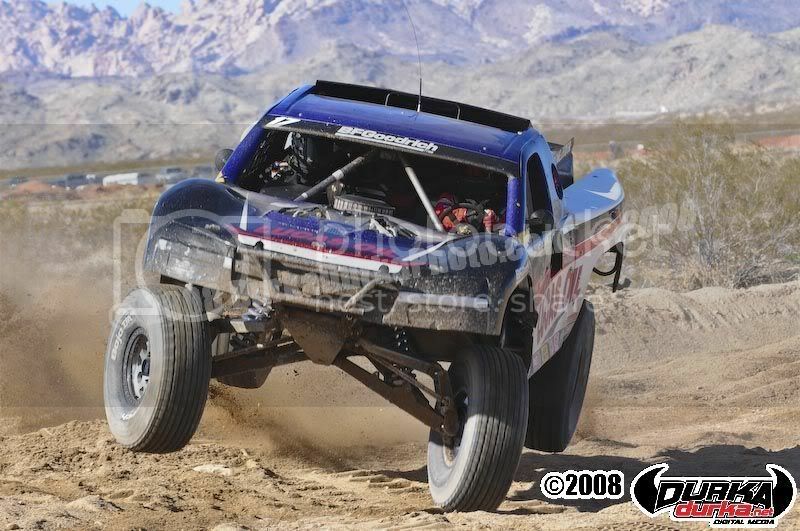 LAUGHLIN, Nev.—Mexico’s Gus Vildosola Jr. patiently waited his turn Saturday as the early race leaders all fell off the pace to take the first day Overall and SCORE Trophy-Truck class lead after the first of two days of racing in the season-opening 14th annual SCORE Laughlin Desert Challenge. Sixth after the first of 8 laps over the surprisingly rugged 6.25 mile race course, Vildosola patiently waited his turn to finish the lead with a time of 1 hour, 16 seconds, averaging 49.78 miles per hour in the No. 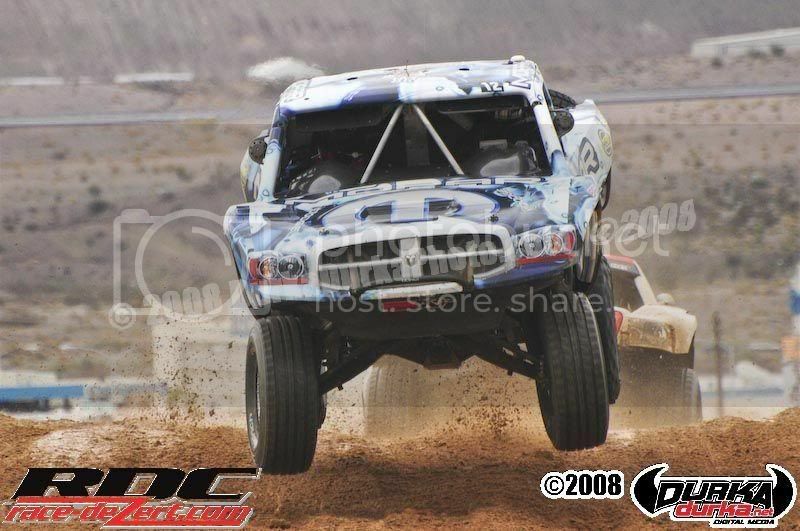 4 Vildosola Racing Ford F-150 SCORE Trophy-Truck. 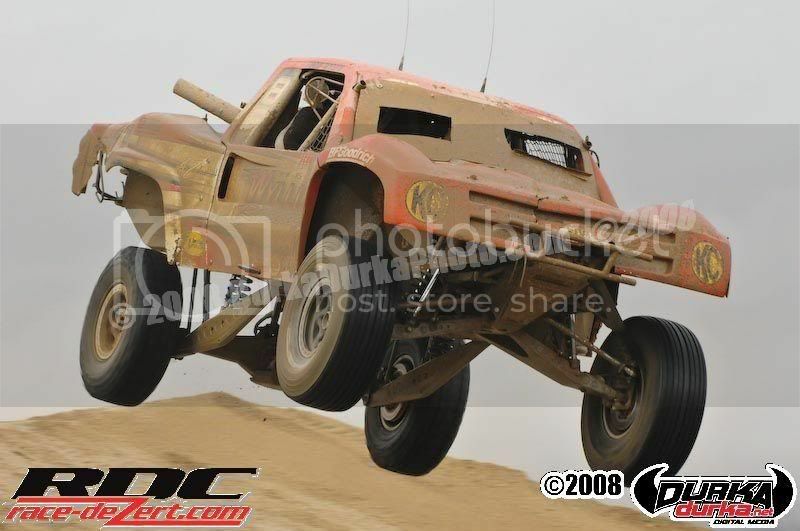 Racing concludes Sunday for 17 Pro and 2 Sportsman classes for cars and trucks with racing starting at 7 a.m. and lasting to 5 p.m. Running 8 more laps each, the featured SCORE Trophy-Truck division will start the final portion of its race at 1 p.m., followed by the unlimited Class 1 at 3 p.m. The start/finish line area is located at the Laughlin Events Park at Edision Drive and Bruce Woodbury Drive in the heart of the Laughlin resort district. 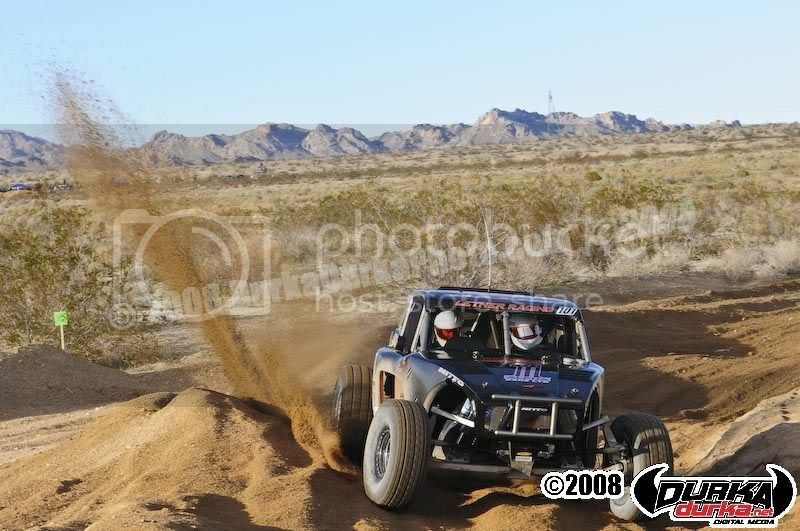 Round 1 of the 2008 SCORE Desert Series features 141 starters from 19 states, Mexico and Germany competing for nearly $400,000 in prize money and contingency postings. Vildosola crashed severely during Friday’s qualifying run but the crew was able to work until early Saturday morning to complete chassis repairs and pass tech of the vehicle wouldn’t have been able make the starting line. 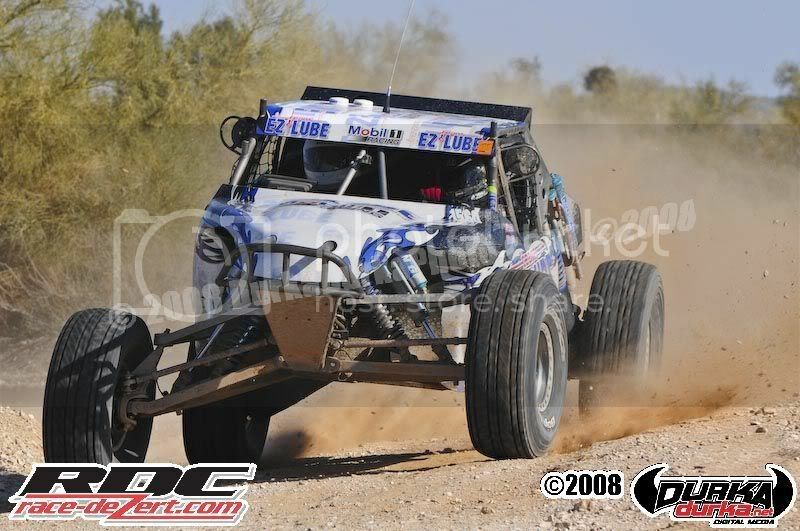 One of the top Mexican desert racing teams, Vildosola Racing is based in Mexicali, Mexico. 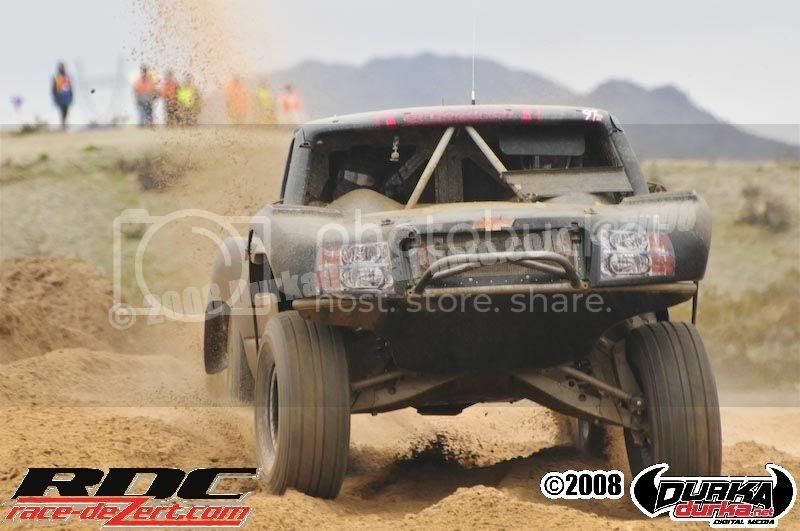 Gus Vildosola Jr. and his father Gus Vildosola finished second in SCORE Trophy-Truck in last year’s legendary 40th Tecate SCORE Baja 1000. Vildosola was ninth after the first lap, hoping to run consistently and got much more than he had planned. He ran consistent laps of 7:23, 7:30, 7:29, 7:30, 7:28, 7:34 and 7;54 to take a 44 second lead in SCORE Trophy-Truck going in to Sunday’s final half of the race. Second in SCORE Trophy-Truck is Rich Ronco, Peoria, Ariz., in a Chevy Silverado while third is Damen Jefferies, Apple Valley, Calif., in another Chevy Silverado, two minutes and one second behind Vildosola. 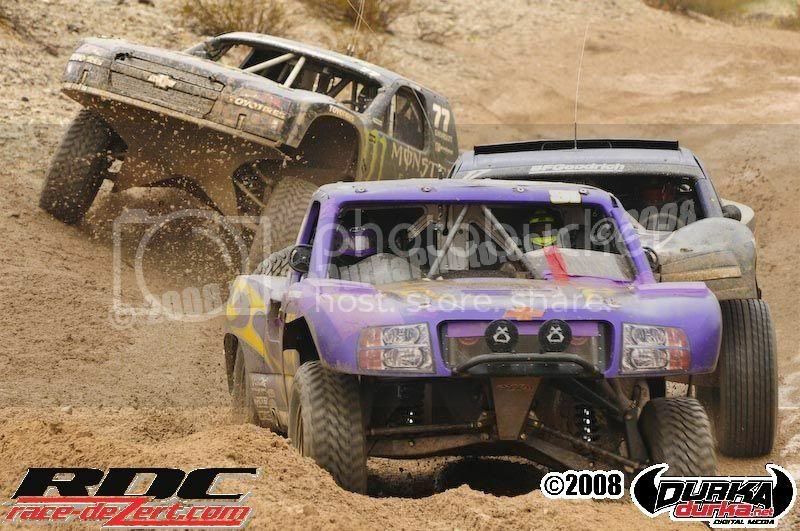 The unlimited Class 1 race was the closest of the day with Las Vegas’ Pat Dean and B.J. Richardson only one second apart and two-time race winner Dale Ebberts third just four seconds behind Dean. 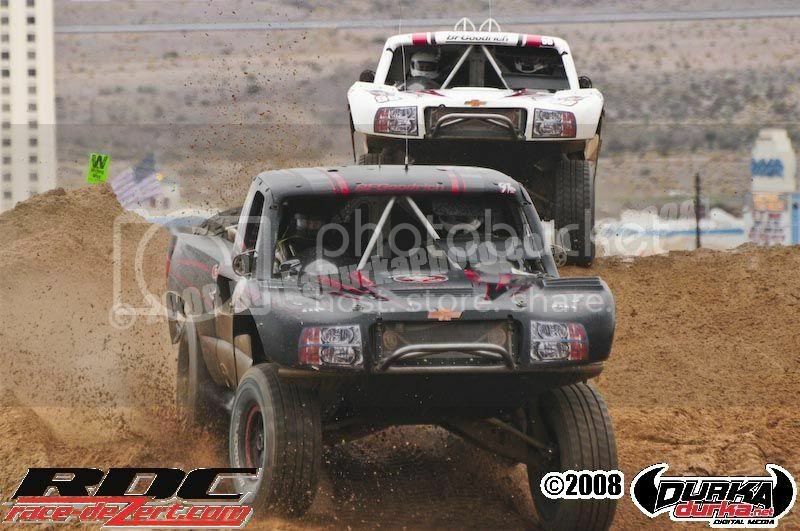 Both part of the Las Vegas Dissemination Company team, Dean and Richardson drive near-identically Chevy-powered Bunderson open-wheel desert race cars. Ebberts, Whitlow, Calif., is driving a Porter Chevy. Vildosola outlasted early leaders Robby Gordon, Chet Huffman and Brian Collins to take the leading heading into Sunday’s final half of the popular race. Gordon, Huffman and Collins all broke down and Gordon’s first lap, turned in 6:55 was the fastest of the day. Gordon and Huffman went out on lap 4 while Collins was sidelined on lap 6. 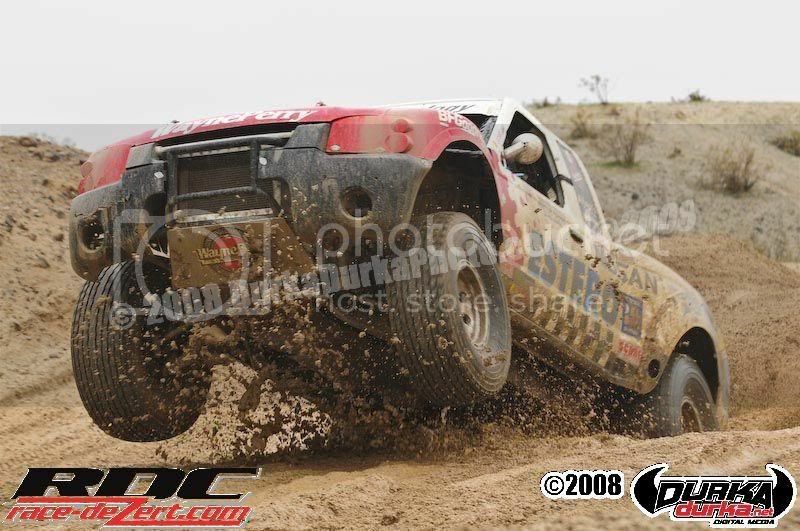 Among the other class leaders after Saturday included: Corey Boyer, Bakersfield, Calif. (Class 1-2/600, Lothringer-VW), Marcos Nunez, Ensenada, Mexico (Class 5/1600, VW Baja Bug), Ramon Fernandez, Ensenada, Mexico (Class 11, VW Sedan), Dan Chamlee, Carpenteria, Calif. (Class 7, Ford Ranger), John Holmes, Olivenhain, Calif. (Class 7SX, Ford Ranger), Juan C. Lopez, Tecate, Mexico (Class 8, Ford F-150), Rod Hall, Reno, Nev. (Stock Mini, Hummer H3), John Griffin, Mission Viejo, Calif. (Stock Full, Ford F-350), George Seeley, Glendale, Calif. (Class 5, VW Baja Bug), Chris Harrold, Chula Vista, Calif., (Class 10 AlumiCraft-Honda), Tom Watson, El Centro, Calif. (SCORE Lite, Prill-VW). Besides Class 1, several class leaders are less than a minute ahead of second place. In Class 1-2/1600, Boyer leads Adam Pfankuch by just one second heading into Sunday’s finale. In Class 5/1600, the top three vehicles are only 20 seconds apart. Second by 12 seconds behind Nunez is Enrique Zazueta Jr. and eight seconds behind Zazueta is Jose Alonso. In SCORE Lite, Tom Watson has a 46-second lead over David Callaway. The stadium seating area includes the immensely popular SCOREvision large-screen LED display, showing live footage from nearly the entire race course. 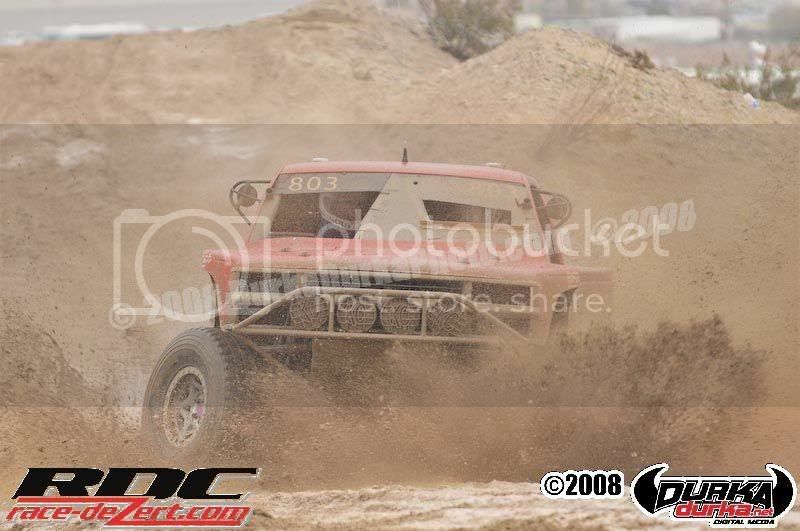 SCORE TROPHY-TRUCK (Unlimited Production Trucks, 8 laps, 50 miles, 30 entries, 24 starters, 10 finishers) - 1, Gus Vildosola Jr. /Gus Vildosola Sr., Mexicali, Mexico, Ford F-150, 1 hour, 16 seconds (49.778 miles per hour); 2, Rich Ronco, Peoria, Ariz., Chevy Silverado, 1:01:00 (49.18 mph); 3, Damen Jefferies, Apple Valley, Calif., Chevy Silverado, 1:02:17 (48.166, mph). CLASS 1 (Unlimited single or two-seaters, 8 laps, 50 miles, 30 entries, 27 starters, 14 finishers) - 1, Pat Dean, Las Vegas, Bunderson-Chevy, 1:02:27 (48.038 miles per hour); 2, B.J. Richardson/John Gaughan, Las Vegas, Bunderson-Chevy, 1.02.28 (48.025 mph); 3, Dale Ebberts, Wilton, Calif./Brad Etter, Villa Park, Calif., Porter-Chevy, 1.02:31 (47.987 mph). CLASS 1-2/1600 (VW-powered, single or two-seaters to 1600cc, 6 laps, 37.5 miles, 18 entries, 16 starters, 13 finishers) - 1. Cory Boyer, Bakersfield, Calif./Rick Boyer, Bakersfield, Calif., Lothringer, :52:20 (42.993 miles per hour); 2, Adam Pfankuch, Carlsbad, Calif., Mirage, :52:21 (42.979 mph); 3, Hiram Duran, Chula Vista, Calif., Amplified :53:14 (42.266 mph). 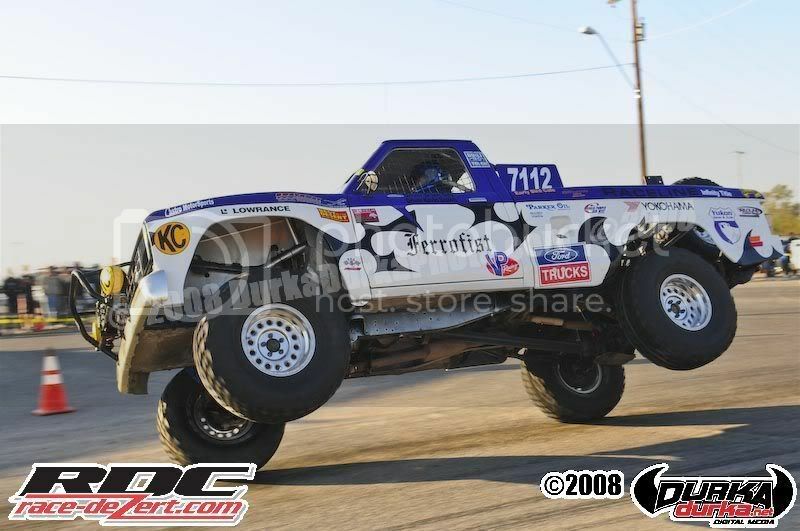 CLASS 3 (Short Wheelbase 4X4, 5 laps, 31.25 miles, 1 entry, 1 starter, 1 finisher) - 1, Donald Moss, Sacramento, Calif./Ken Moss, Marysville Calif., Ford Bronco, :53:52 (34.808 miles per hour). CLASS 5 (Unlimited VW Baja Bugs, 7 laps, 43.75 miles, 3 entries, 3 starters, 3 finishers) - 1, George Seeley, Glendale, Calif., 1:03:02 (41.644 miles per hour); 2, Carlos Albanez, Calexico, Calif./Luivan Voelker, Mexicali, Mexico, 1:04:25 (40.75 mph); 3, Kevin Carr, San Diego, 1:04:31 (40.687 mph). 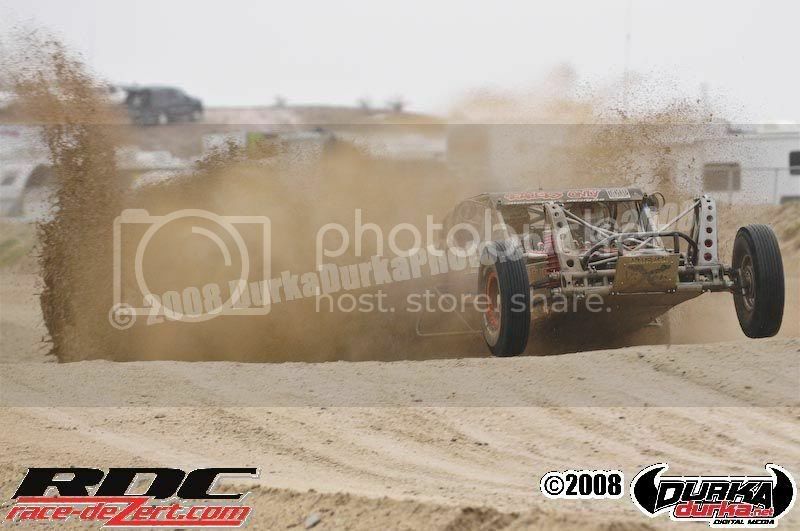 CLASS 5/1600 (1600cc VW Baja Bugs, 6 laps, 37.5 miles, 14 entries, 13 starters, 9 finishers) - 1, Marcos Nunez/Norberto Rivera, Ensenada, Mexico, 1:00:07 (37.427 miles per hour); 2, Enrique Zazueta Jr. /Enrique Zazueta Sr., La Paz, Mexico, 1:00:19 (37.303 mph); 3, Jose Angulo, Ensenada, Mexico 1:00:27 (37.22 mph). 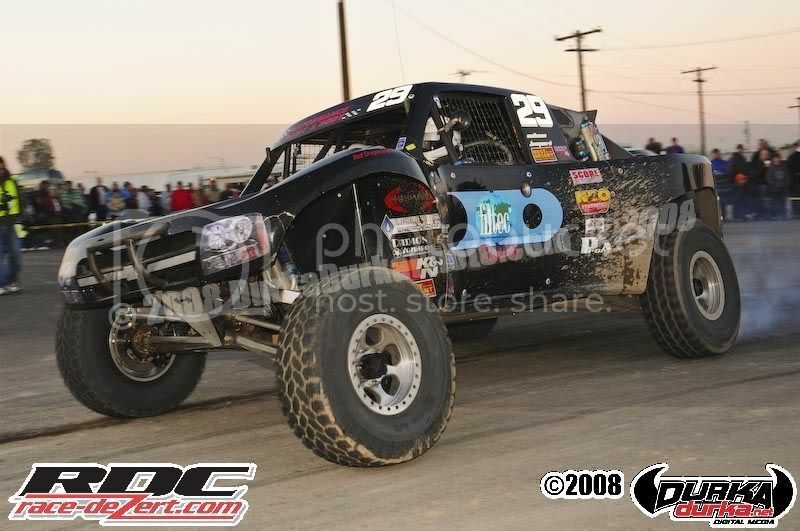 CLASS 7 (Open mini trucks, 6 laps, 37.5 miles, 4 entries, 4 starters, 3 finishers) - 1, Dan Chamlee/Tom Chamlee, Carpenteria, Calif., Ford Ranger, :53:58 (41.692 miles per hour); 2, A.J. 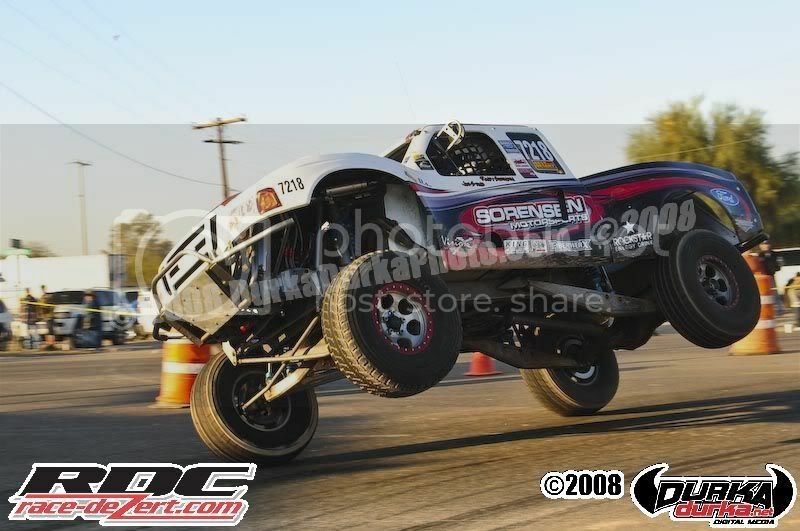 Rodriguez/Miguel Medina, Orange, Calif., Ford Ranger, :55:59, (40.19 mph); 3, Chris Taylor, El Centro, Calif./Josh Quintero, Imperial, Calif., Ford Ranger, 1:16:38 (29.361 mph). 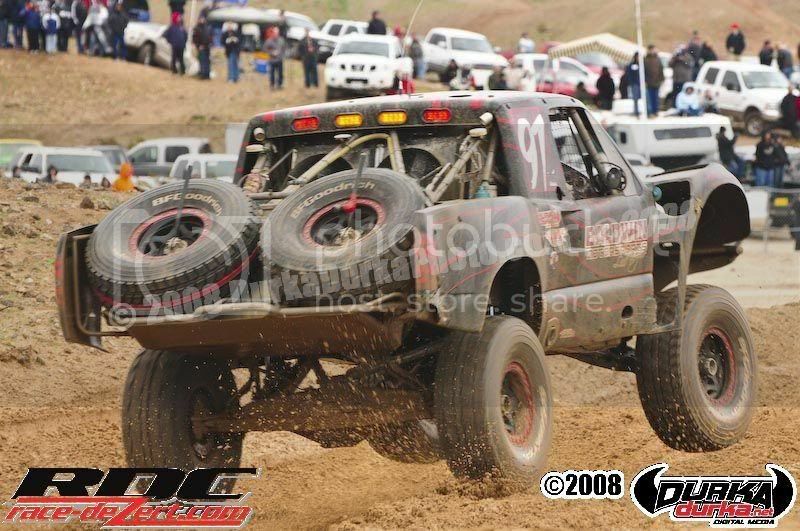 CLASS 7SX (Modified, open mini trucks, 6 laps, 37.5 miles, 5 entries, 4 starters, 3 finishers) - 1, John Holmes, Olivenhain, Calif./Mark Landersman, Temecula, Calif., Ford Ranger, :55:58, (40.202 miles per hour); 2, Gerardo Novelo, San Ysidro, Calif., Nissan Frontier, 1:01:05 (36.834 mph); 3, Heidi Steele, San Clemente, Calif./Tim Lawrence, Santee, Calif., Ford Ranger, 1:03:33 (35.405 mph). 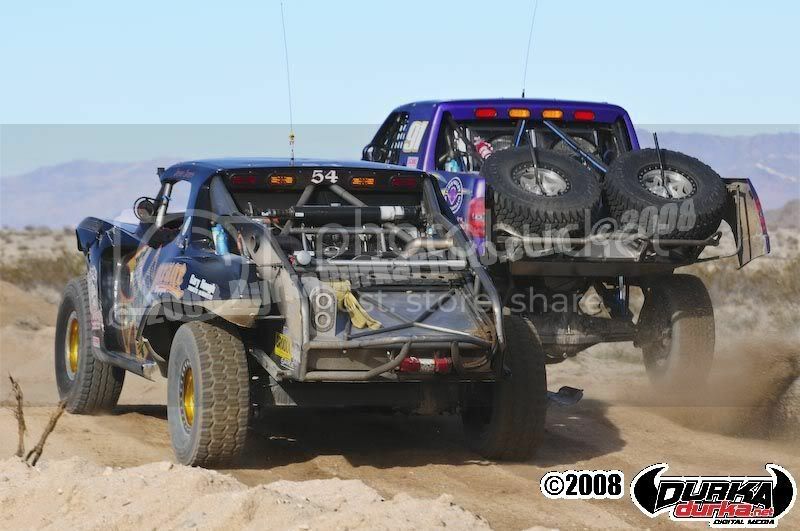 CLASS 8 (Full-sized two-wheel drive trucks, 6 laps, 37.5 miles, 3 entries, 3 starters, 1 finisher) - 1. 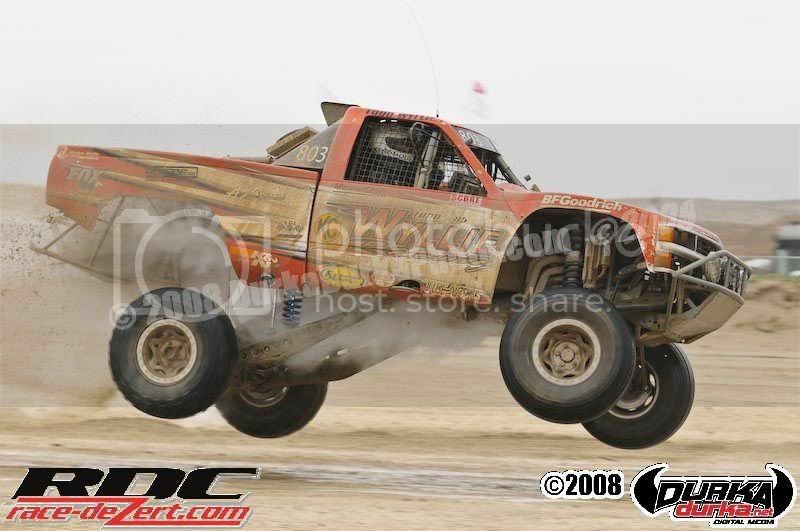 Juan C. Lopez, Tecate, Mexico/Beny Canela, Indio, Calif., Ford F-150, :45:21 (49.614 miles per hour). CLASS 10 (Single or two-seaters to 1650cc, 7 laps, 43.75 miles, 10 entries, 10 starters, 4 finishers) - 1, Chris Harrold, Chula Vista, Calif., AlumiCraft-Honda, :54:53 (47.829 miles per hour); 2, Robert McBeath/Jessica McBeath, Las Vegas, :58:47 (44.655 mph); 3, Mike Lawrence, Brea, Calif./Chris Lawrence, Los Alamitos, Calif., Lothringer-VW, 1:03:10 (41.556 mph). SCORE LITE (VW-powered, Limited single-1776cc-or two-seaters-1835cc, 7 laps, 43.75 miles, 12 entries, 11 starters, 10 finishers) - 1, Tom Watson, El Centro, Calif./Rob MacCachren, Las Vegas, Prill, :59:17 (44.278 miles per hour); 2, David Callaway, Menifee, Calif./Scott Mapes, Riverside, Calif., Dunrite, 1:00:03 (43.713 mph); 3, Rick St. John, Encinitas, Calif./Adam Pfankuch, Carlsbad, Calif., Duvell, 1:00:47 (43.186 mph). CLASS 11 (Stock VW Sedans, 3 laps, 18.75 miles, 5 entries, 4 starters, 3 finishers) - 1,Ramon Fernandez/Jesus Aras, Ensenada, Mexico :38:34 (29.17 miles per hour); 2, Todd Lucero, Anaheim Hills, Calif./Richard Nichols Jr., Placentia, Calif. :42:11 (26.669 mph); 3, Jake Mueller/Todd O’Dwyer, San Diego, :48:17 (23.299 mph). 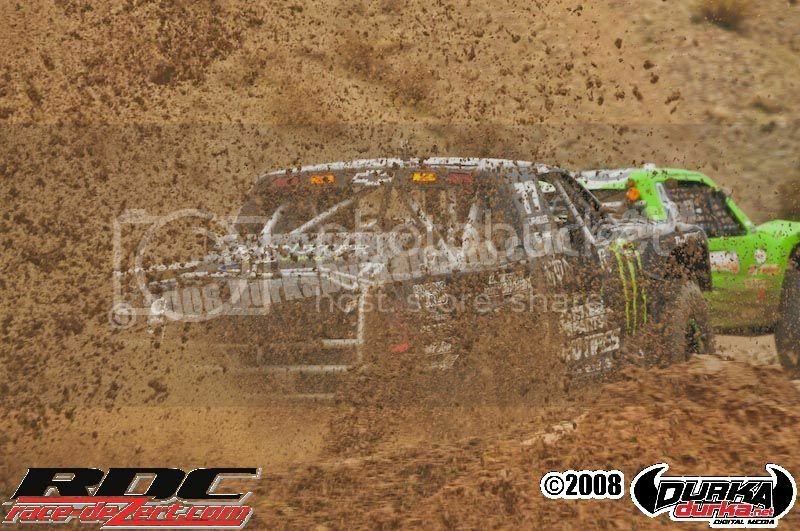 STOCK FULL (Stock, Full-sized trucks, 5 laps, 31.25 miles, 4 entries, 4 starters, 3 finishes) - 1, John Griffin, Mission Viejo, Calif./Jeremy Spirkoff, El Cajon, Calif., Ford F-350, :50:30 (37.128 miles per hour); 2, Chad Hall, Reno, Nev., Hummer H3Alpha, :52:08, (35.965 mph); 3, 879 Clyde Stacy, Bristol, Va./Justin Matney, Bristol, Tenn., Dodge Ram2500, 1:00:38 (30.923 mph). 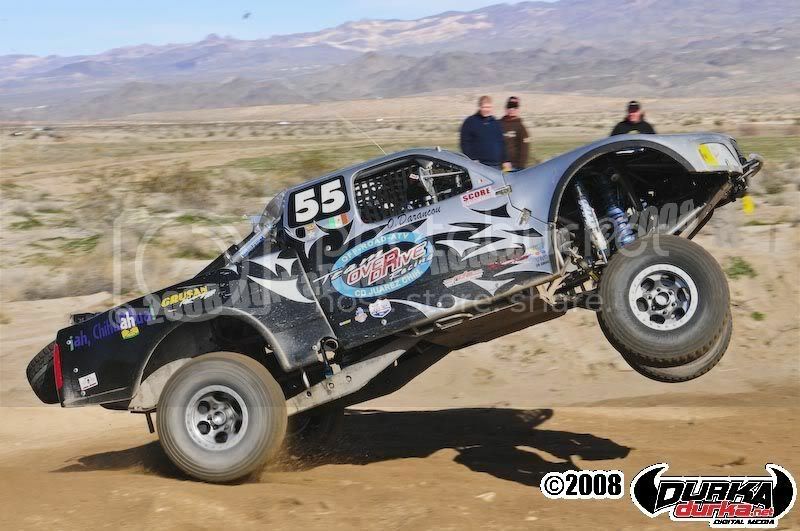 STOCK MINI (Stock, Mini-sized trucks, 5 laps, 31.25 miles, 3 entries, 2 starters, 2 finishers) - 1, Rod Hall, Reno, Nev., Hummer H3, :56:34 (33.146 miles per hour); 2, Steve Kovach, Tempe, Ariz./Chip Carr, Gilbert, Ariz., Ford Ranger, 1:12:44 (25.779 mph). PROTRUCK (Limited Production Trucks, 6 laps, 37.5 miles, 1 entry, 1 starter, 1 finisher) - 1, Jason Voss, Cupertino, Calif., Ford F-150, :48:33 (46.343 miles per hour).